A brand image sums up what your eLearning company offers its client base, as well as how you stand apart from the competition. Thus, it’s crucial to build your eLearning brand image on a carefully crafted image that draws in new clientele and retains your existing client base. But how do you convey your eLearning organization’s key qualities without being too verbose? The following 8 tips can help you cultivate a cohesive eLearning brand image that accurately reflects your identity. This involves a good amount of research. You must know your target audience and the quintessential traits of your industry. What are the primary features or projects that your eLearning niche is associated with? Are there any long-lasting trends that link to your eLearning organization? For example, you offer a responsive design tool that prides itself on robust reporting and gamification features. All these individual components can help you build the eLearning brand image that appeals to modern consumers. Ideally, your eLearning company’s message should be simple and straightforward. 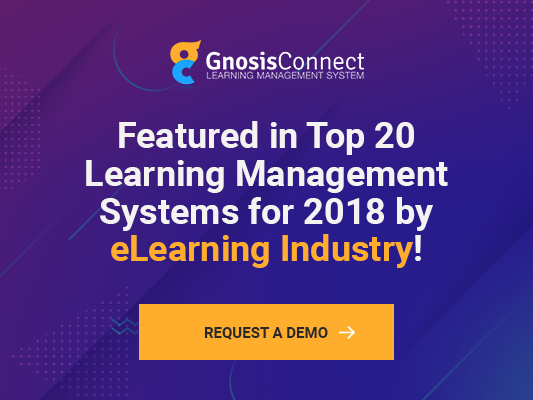 A one-liner that sums up what your eLearning organization provides, as well as a long-form version that maps out the key features and benefits you bring to the table. This message will serve as the textual framework for your eLearning brand image. So, think about the public face you want to portray and how it puts you a cut above your competitors. Every eLearning organization is good at something. Perhaps they are known for their intuitive user interface or superior customer service. Create a list of the strengths that make your eLearning company stand out and why. It’s also wise to evaluate your weaknesses so that you can gradually improve upon them and mitigate them in the meantime. If you’re unsure about your strengths, conduct online surveys and polls with your current clientele. Ask them what originally attracted them to your eLearning organization and why they continue to do business with you. Encourage them to provide detailed responses, or follow up with one-on-one interviews. Your eLearning company has unique goals and objectives that drive every aspect of business operations. Every decision you make is intended to bring you one step closer to achieving the desired outcome. Therefore, these goals and objectives play a pivotal role in cultivating your eLearning brand image. For instance, one of your primary aims is to bring in a significant amount of SMB clients from a specific industry. Of course, this objective would have specific percentages and timelines so you can track progress. As such, your eLearning brand image might be geared toward small to mid-sized businesses looking for an SMB Learning Management System to meet their training needs. Your eLearning brand image also involves a visual identity. This includes your logo, graphics, and any images you use in your marketing materials. Every visual element you incorporate into your website, landing page, and other online platforms should fall in line with your image. What immediately springs to mind when you think of your eLearning company? How can you transform that into a memorable visual identity that consumers instantly recognize? Spend some time perusing royalty free image sites to determine which visuals catch your eye and convey your messaging. Examine other eLearning companies’ logos to look for elements you’d like to incorporate into your eLearning course design. Social media is a valuable marketing tool. But it’s also a great place to gather research when building your brand image. See what the competitors are posting on their social media pages. Conduct polls to collect feedback from your existing client base. Pay attention to ads that pop up when you search for targeted keywords. You can even join business consulting groups or pages that feature tips on how to cultivate your eLearning brand image successfully. Ultimately, your eLearning brand image tells a story of who you are and why you deserve a client’s business. Meet with your eLearning team to craft a company bio, mission statement, and emotionally compelling story. Tell prospects about the eLearning expertise that your organization can provide. Include your company values so that clients know what to expect when they enlist your eLearning services or buy your eLearning products. You can even mention how your business got its beginnings and why it chose to focus on the eLearning industry. Jot down a list of the traits and qualities that your eLearning company holds dear and wants to make public. It might be unique features that no one has introduced before or aspects of your customer service that keep people coming back. Where is your eLearning organization’s main source of pride? Are there any accomplishments that you feel clients should know about? Keep different client groups in mind so that you don’t alienate members of your target audience. For instance, a trait that may be highly coveted for some may be off-putting for others. The secret is to generate universal appeal while still distinguishing your eLearning company from the rest. It’s difficult to undo an eLearning brand image that’s already been established. People tend to remember their first encounter with your eLearning company. As such, a confusing eLearning brand image that falls short can have a long-lasting impact, especially for start-ups that don’t have a built-up brand to fall back on. Use this article to create an eLearning brand image that sticks in their minds for all the right reasons.